Now is the time to put your criminal record in the past and finding a job that will secure a better future for you and your family. Nearly 80,000 new jobs were created at the end of 2012. That’s 80,000 new employment possibilities. 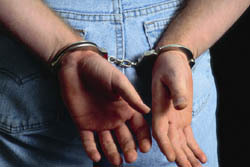 The first thing you should do is explore available options to expunge or seal your Florida criminal record. The Law Firm of Higbee & Associates, which operates RecordGone.com offers a free consultation designed to quickly inform you of your options and to answer any questions about expungement. They will even give you a flat-fee quote and an interest free payment plan if you are eligible to clear your record. Explore opportunities. Do not let your criminal record get in the way of discovering the many choices you have. Consider such programs as training, rehabilitation, educational course work, and volunteering as ways to improve yourself, as well as your resume, before you start applying for jobs. Finding local projects to be a part of is a great way to get involved with your community and an effective way to network with potential employers. Be honest with yourself and your employer. Be honest about any criminal record that needs to be disclosed. Employers will ultimately value the honesty and integrity of prospective employees. Make sure to take the opportunity to put the criminal record in the proper perspective and focus the discussion on lessons learned, difficulties you have overcome, and other signs of rehabilitation. Perform a background check on yourself. It is important to know what may appear on your background check. If you had your case expunged or sealed, it is important to notify background check companies about the change in your record. Otherwise, background check companies may report the expunged case until they receive their annual updates from the court. RecordGone.com’s Expedited Criminal Database (ECDU) service will have more than 600 leading background check companies update their records within 10 days of the court expunging or sealing your record.